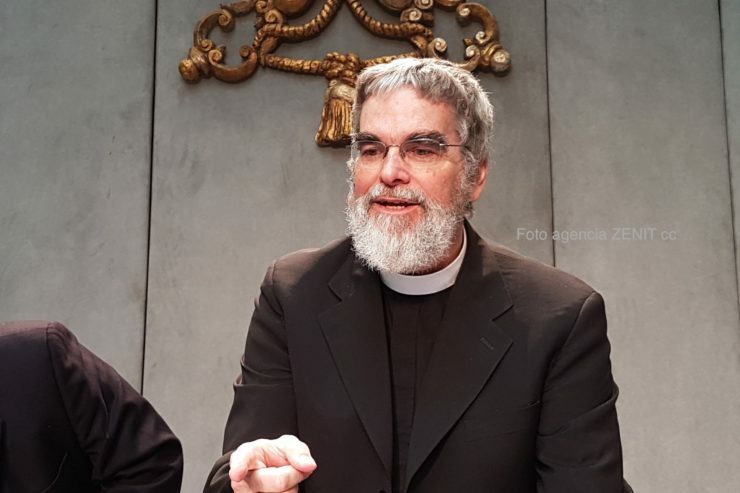 Talking with ZENIT, astronomer Guy Consolmagno explained this on the sidelines of the meeting held yesterday, May 8, 2017, in the Holy See Press Office, where the Scientific Workshop on black holes, gravitational waves and the peculiarity of space-time, which will be held in the Vatican Astronomical Observatory in Castel Gandolfo from May 9-12, was presented. “We also believe in a good God who created the universe by His Will and not by an accident or by chance” – in a God “who said that the universe is good, and who said ‘This is good,’” he continued. In regard to the event that will be held this week in Castel Gandolfo, Consolmagno specified: “It is a scientific congress that hopes to bring together experts in various fields, specialists in black holes.” It will gather not only the theorists of black holes, but also those that observe them and those that study them from other scientific perspectives. The Jesuit explained that “many times there is a congress of observers, others of theorists, others of black holes, etc., but here we want to bring together different scientists together, as in a workshop.” Moreover, “as time is always lacking to make presentations and to have discussions, we want to foster the free exchange of ideas,” he concluded.